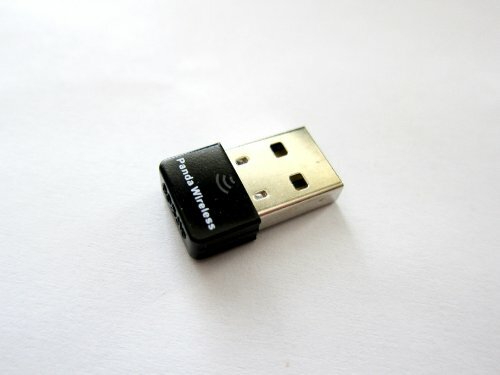 The Panda Ultra Wireless-N Adapter (PAU03) upgrades the WiFi interface on your computer to the latest 802.11n standard. Your computer can communicate wirelessly with any 802.11g/n wireless router at home, coffee shops, etc. 64-bit Mint, Ubuntu, Fedora, openSUSE, etc. - Works best with 802.11n router. If you have a 802.11g router, please set the wireless mode to 802.11g mode. Note: You can download the latest drivers for Windows, Mac and Linux from Panda Wireless web site. Panda PAU03 adapter is backed by 1-year limited warranty. Please contact Panda Wireless if you have any questions. If you have any questions about this product by Panda, contact us by completing and submitting the form below. If you are looking for a specif part number, please include it with your message.